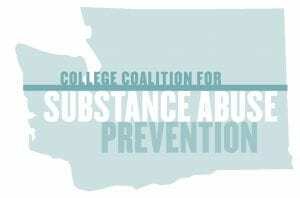 CCSAP is a group of individuals involved with prevention programs at colleges and universities in Washington state who meet to discuss common issues and problems. Over half of the institutions of higher education, recognized by the Higher Education Coordinating Board in Washington State, have joined CCSAP! Thirty-seven separate schools are represented on the coalition. Of these, twenty are two-year community colleges or technical colleges and seventeen are four-year colleges and universities. This website is provided through a partnership between the College Coalition of Substance Abuse Prevention and the University of Washington.